Minatogawa River (湊川) in Kobe, Hyogo Prefecture. 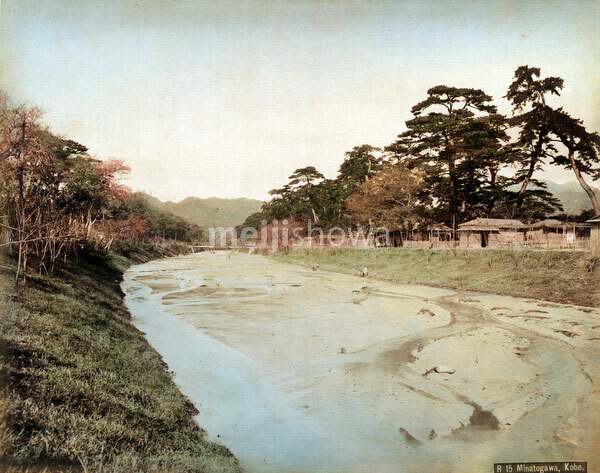 The river was relocated in 1901 (Meiji 34) and in its location Minatogawa Shinkaichi (湊川新開地) was opened in 1905 (Meiji 38). It became Kobe’s premier theater and entertainment district.